To succeed as a business owner in America, it is important to wear several hats well. You need to have strong skills in business management, marketing, sales, accounting, and more. We have compiled a list of the best types of master’s degrees for business owners, as well as examples of quality online master’s programs for each specialty. Find business degrees in analytics, leadership/management, information management and more. Over 20 Online MBA Specializations available totally self paced. Ranked as ‘Most Innovative University” in North by U.S. News. The MBA is regarded by many experts as the top choice for business owners who want to expand their education. It can give you the skills and knowledge in business administration to improve the performance of your company. It covers finance and accounting topics, but not at the same level as a master’s program dedicated to each of those fields. Understand business management theory. One of the reasons that many small businesses fail is the owner has little to no background in business management. In an MBA program, you will learn about business planning, finance and accounting, among other critical topics. Boost odds of obtaining business funding. Entrepreneurs often need to go to a bank or other type of lender to get funding for their business. But banks have gotten choosier about to whom they lend money. Having an MBA can help to convince lenders that you have a background that increases chances of success. Also, you may discover networking contacts in MBA school that help you land funding. Network with like-minded professionals. Many people attend MBA school in part for the valuable networking contacts as well as the ability to learn from other business professionals. A master of Accounting (MAcc) is a graduate accounting degree that is ideal for professionals who want to advance to a high level in accounting, such as become a CPA. A related option is a Master of Science in Accounting (MS in accounting). Whether a university offers a MAcc or MS in accounting is usually the preference of the college. Earning a master’s degree in accounting also can be a great choice for some business owners. Learn valuable, advanced accounting skills. Watching the bottom line is important for any small business. In a master’s program in accounting, you will learn about vital accounting topics that can help you to make more money and be at the top of your industry: cost analysis; financial accounting and reporting; internal control systems; quantitative analysis and auditing. Many successful executives have an accounting background. There is a reason why many corporate financial officers have an accounting or finance background. Their advanced accounting skills make them ideal stewards of the financial and accounting aspects of the organization. Become eligible to sit for the CPA examination. You can become a CPA after you have 120 hours of accounting education by taking the CPA examination. A master’s in accounting is the most common background for CPAs. This could be especially valuable if your business is in the accounting or finance field. A master of finance (MF) is a graduate degree that focuses on the details of modern finance, including courses in financial theory, mathematics, investments, markets, financial reporting and analysis and valuation. Tight focus on finance. An MBA is an excellent degree, but finance is only one topic of many that it covers. If your specific business needs require a high level of expertise on finance, you will probably benefit more from a finance-specific degree than a general business degree. MF can take less time. Many master of finance degrees can be earned in well under two years. Some can be even completed in only a year. If your goal is to get through school quickly and learn important skills, consider an MF. Earn your CFA designation. With a master’s in finance, you can qualify to sit for the Chartered Financial Analyst designation. This is a highly valued credential that is important for financial professionals to earn. If your business is in a finance related field, having your CFA can provide you with important skills and make you stand out from other companies. In our highly competitive and growing economy, more Americans want to be entrepreneurs than any time since the last market downturn. 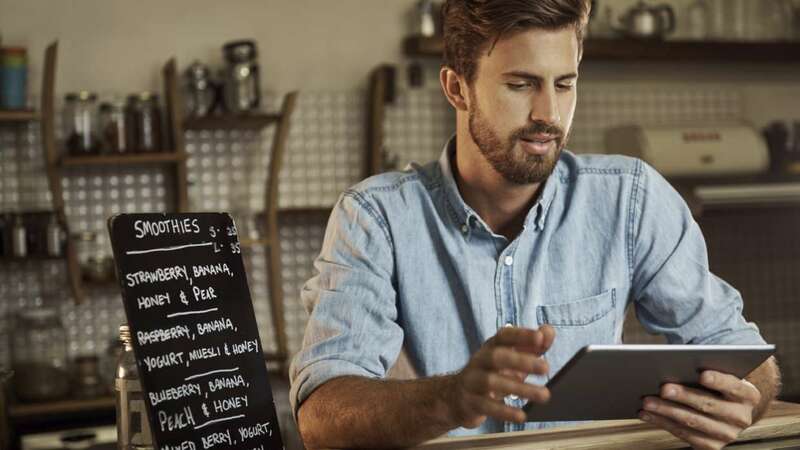 A master’s degree in entrepreneurship can be a great choice for business owners who want to give their small business an edge. Study effective reasoning. According to Harvard Business Review, the major difference between an MBA and this degree is the former focuses on causal reasoning based upon logic and a tightly defined goal, while the entrepreneur degree is about effective reasoning. Thus, the MBA focuses on how to best solve a predetermined goal, while this degree teaches you how to start with a set of means and allow goals to unfold over time. One of the most popular degrees and specializations. The dean of the Wharton School at the University of Pennsylvania notes the entrepreneurial degree and MBA with this specialty is very popular because it can bring one up to speed on marketing, finance and acquiring capital. Focus solely on entrepreneurial topics. Learn about subjects that you really care about that can grow your business while you are still in school – global strategies, mergers and acquisitions, venture capital and private equity. Also learn in detail about different business structures, including LLCs, corporations, non profits and more. A master of management or MM is a graduate degree that provides you with specialized training in management. Work experience not required. The master of management is different than many MBA programs in that work experience is not usually required. This is an important point for a person who is running their own small business, as not all MBA programs may count that type of experience. Shorter and less expensive. Many MM programs can be completed in a year. As a result, these programs usually cost less. Saving yourself time and money is always welcome as a business owner! Develop a suite of vital management skills. Skills such as marketing, project management, HR management, IT management and innovation management. The improvement in technology in the past 20 years means companies have more data to pore through than ever before. Having access to so much information about customers, potential customers and sales information is fantastic, if you know how to manage it. A master’s degree in business analytics trains you have to turn big data into intelligence you can act upon. Learn tools that can be used to increase your sales and profits. Business analytics courses will teach you to become a power user of statistical and quantitative methods; computational tools; and predictive models so you can make data-driven decisions. Develop business analytic models yourself. The business analytics master’s is a technical degree. You will learn how to design your own business analytic models custom made for your company. On the other hand, an MBA degree just teaches you how to use existing tools and models. You can moonlight as a consultant. Business analytics is a new field and there is strong demand for professionals who can analyze data and make important business decisions with it. You may be able to work as a high priced consultant outside your business if you choose. A master’s degree in economics offers you the ability to understand and apply research in economics. Being able to understand complex economic principles can be an excellent background to work in financial and economic leadership in your company. Prepare for the Chartered Financial Analyst (CFA) exam. Many business leaders who want to take their company to the next level can benefit from becoming a CFA, particularly in a business that relates to finance and economics. Develop a better understanding of economic markets and why good and bad things happen in the economy. This can help you to become a better business leader that can respond more accurately to market conditions. Economics. Economics is an excellent background if you are intending to later enter law school. A master’s degree in communications will teach you how to become a better communicators in writing and verbally. Being able to communicate more effectively as a business owner will put you in a better position to make more sales and relate better to customers. Take a variety of communications and editorial related courses. You will take classes in mass media, public relations, writing, marketing and IT. All of these classes will give you the skills to communicate and market more effectively about your company and its products and services. Enhance presentation skills. Most business owners at some point need to make presentations to clients or potential clients. A master’s in communications will provide you with better presentation skills so that you can gain more clients. Learn to write well for many audiences. This degree will involve a lot of writing for different audiences. Being able to communicate well about your company to different audiences will help you grow your company. A master’s degree in public relations can be a valuable degree for a business owner because you will learn how to communicate well on your feet about your organization. This is an important skill to have to inform others about your company and to put it in a positive light. Develop skills to manage a crisis. Many businesses eventually have a negative experience, such as a product recall, that can lead to a situation where the company’s reputation is at risk. Having a PR degree will teach you how to navigate a public relations crisis effectively and improve the market perception of your company. Understanding financial markets. Many public relations programs require you to take some courses in financial markets and financial statements, which is helpful in helping you to understand how financial markets affect your company. Learn to write for digital platforms. Most companies need to communicate effectively on digital platforms today to succeed. Your coursework will include extensive courses in digital platform writing. Many business owners benefit from earning a master’s degree in marketing, You will learn more about how to market your company better, network with like minded professionals and gain a better grasp of marketing and PR strategies. Have the opportunity to specialize. Depending upon your company’s needs, you can specialize on an area of marketing, such as e-commerce, pricing, digital marketing. Encourages free thought. Most master’s degree in marketing programs encourage you to be a free thinker and develop your own theories of marketing. Being able to devise creative solutions to marketing challenges can be directly applicable to your own business. Learn how to do research. You will be required to engage in several research projects that will teach you how to do in depth research, which can be important later in developing your business.